Welcome to the rest of your parenting life! If you are ready to make a change – it is time to take the next steps. 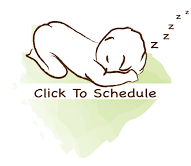 Click on baby below to schedule your complimentary 20-minute call. I look forward to helping you find a solution that is right for you. If you are ready to make changes now - then it is time to schedule a 15-minute call!